Its shares were then suspended before Tuesday’s trading, at its own request. Debenhams is likely to go into pre-pack administration, under which shops would continue trading but the business would come under the control of its lenders. On Monday, it rejected a £150m offer from Mike Ashley’s company. The overnight offer was turned down because Mr Ashley wanted to be chief executive. It would have seen Sports Direct underwrite the raising of £200m by issuing new shares, higher than its previous proposal. If Debenhams does use a pre-pack administration, Mr Ashley’s near 30% stake in the company, which cost about £150m to build up, would be wiped out. In February, it was revealed that the shutting of 20 of those stores could be brought forward if the retailer took out a company voluntary arrangement (CVA), a form of insolvency that can enable firms to seek rent cuts and close unwanted stores. 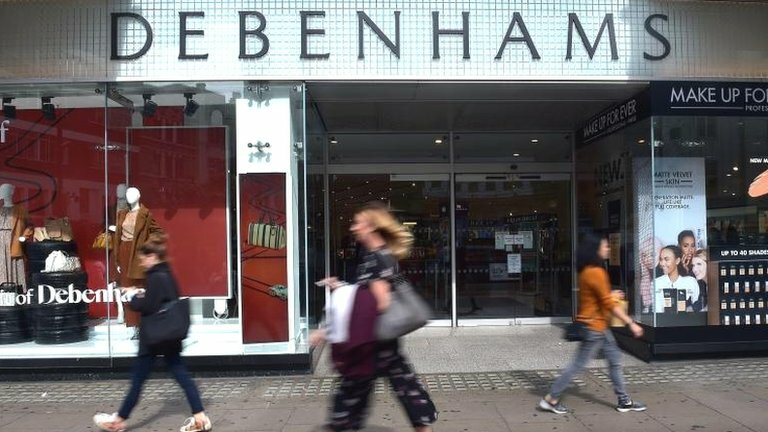 Laith Khalaf, senior analyst at Hargreaves Lansdown, said that Tuesday was set to “mark the endgame for control of the department store” and that the rejection of Sports Direct’s overnight bid “suggests that Debenhams simply isn’t interested in what Sports Direct has to offer”.